ESO’s governing body, the Council, has just authorised additional spending to cover the cost of both the five inner rings of segments for the main mirror (M1) of the Extremely Large Telescope (ELT), and one spare set of 133 mirror segments (one sixth of the total M1), and also an additional mirror segment maintenance unit. The decision was made at the recent meeting of the Council in Garching, Germany, after the positive recommendation by the ESO Finance Committee and made possible by an improved funding scenario. 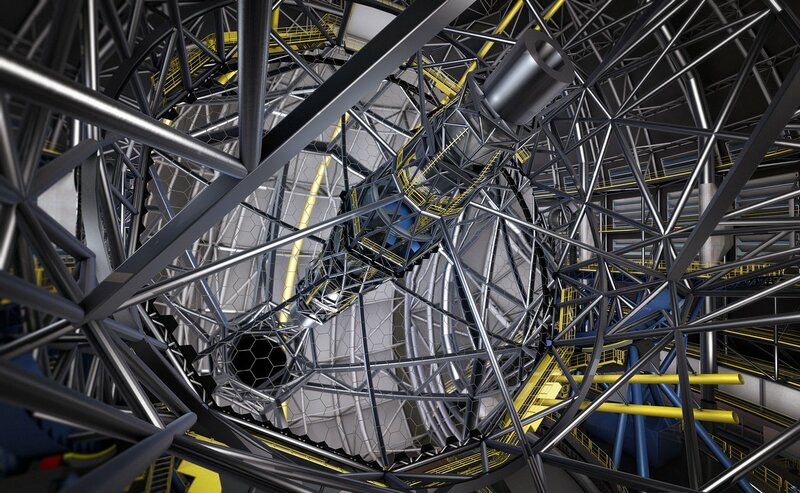 The ELT is a revolutionary ground-based telescope concept which will have a 39-metre main mirror made of 798 hexagonal segments. It will be the largest optical telescope in the world: “the world’s biggest eye on the sky”. First light for the ELT is targeted for 2024. Up to now the inner five rings of segments of the ELT primary mirror were in Phase 2 of the project, and had not yet been funded. This second phase also included a mirror segment washing, stripping and coating plant that was needed to keep the mirror at its full performance, as well as a spare set of 133 mirror segments . These parts of the telescope’s Phase 2 have now received the green light. Construction of the telescope is proceeding rapidly and nearly 90% of the contracts for Phase 1, by value, are already awarded. The ELT primary mirror of 798 segments has six-fold symmetry, with each sector of 133 segments being the same as the other five but with each of the 133 segments being very slightly different from the others. So, to have replacements available for all the primary mirror segments, a seventh set of 133 segments is needed.